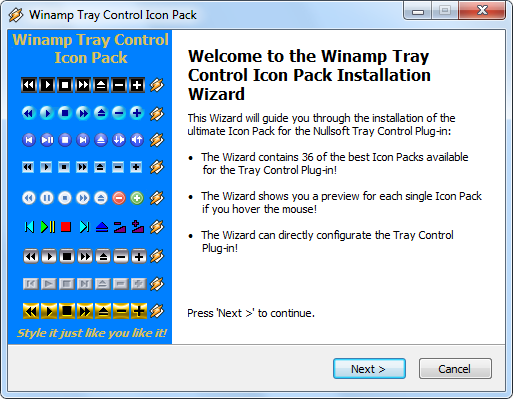 Winamp Tray Pack installer contains the icon sets which are available on the www. Run the application and style it just like you like it. – contains 36 of the icon packs. – Installer shows you a preview for each icon pack if you hover the mouse. 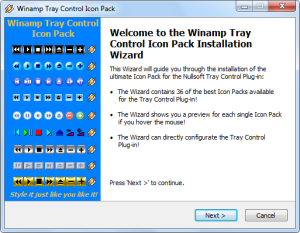 – You can configure the Tray Control Plugin from within the installer. – installer is available in several languages.